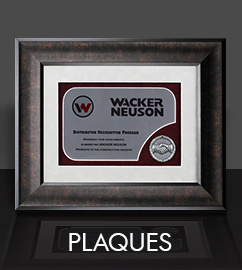 ASAP Awards is the premier source for Unique crystal awards, crystal trophies, corporate plaque awards, glass plaques and custom recognition programs for employee recognition awards and personalized gifts. We have exclusive designs and features you won’t find anywhere else, and all of our unique products are made to order. That means you can be confident that your selection will truly impress the recipient. 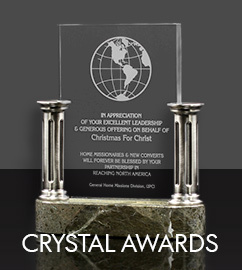 ASAP Awards provides prompt and dependable service, a great variety of our Unique Crystal awards, Crystal trophies and framed plaque awards that are an exclusive design sure to fit any need. 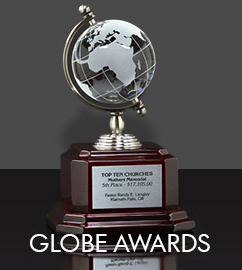 Recognize your top corporate performers with our stunning crystal star awards, majestic crystal eagle tophies, world-class crystal globe awards, memorable crystal glass paperweights, beautiful dove awards or distinctive custom framed award plaques. Looking for industry-specific awards and trophies? We’ve got your covered. 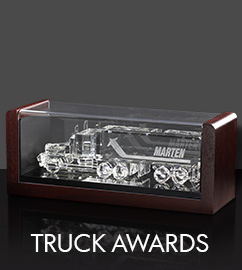 For truck driver awards, we offer the finest crystal truck trophies. 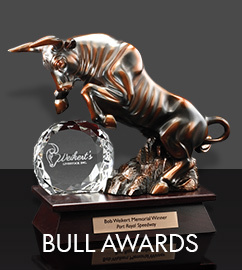 For stock market investor awards, we feature regal bull awards similar to the famous Wall Street bull statue. If you’re rewarding a public speaker or a broadcaster, our crystal microphone award says it all. And, for golf tournament awards, our crystal golf trophies are sure to be a hole in one! To get started, select a product category and buy online. 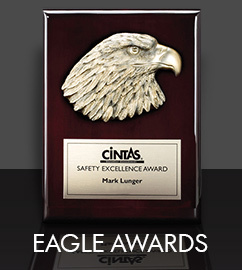 Or, give us a call at (636) 527-1517 and see how we can make a unique statement for your next corporate recognition awards project. We specialize in creating custom recognition programs with clients such as Cintas, Edward Jones, PepsiCo, Mallinckrodt, Boeing, and many more. Contact us to discuss a custom program for your needs.